We’ve expanded the regular AVQ&A discussion prompts to ask several of our regular contributors (and you) a simple question: What are you currently reading? If you have suggestions for future AVQ&A questions, big or small, email them to us here. Earlier this month, I finished The First Collection Of Criticism By A Living Female Rock Critic. It’s a title as capable of enticing readers as it is inciting critics, but notable music writer Jessica Hopper quells any negative reactions from those quick to judge by opening with an explanation: “The title of this book is not entirely accurate.” She goes on to give credit where she feels credit is due, and then dedicates the book to “those that came before, those that should [have] been first, and all the ones that will come after.” Spanning 20 years of history, Hopper starts part one in Chicago with her seminal essay, “Emo: Where The Girls Aren’t,” originally published in a 2003 issue of the well-known zine Punk Planet. It’s a great way to open; a dozen years later and it’s as if this piece transcends time, unfortunately able to remain relevant to the conversation surrounding women in music today. Thus, it affirms the title and sets the table for Hopper’s overall critique of not only music but the culture that stems from it. It would be easy to recommend this book to every woman who grew up poring over the work of famed music journalists, never feeling wholly connected to, say, Robert Christgau (who is thanked in Hopper’s acknowledgements) or Lester Bangs—two sides of the coin, sure, but both white men—and will see it as an instant home run. But it’s a book for any fan of music and its cultural effect, as well as an interesting look at the growth of a writer, most evident in the Chicago closer, “Conversations With Jim DeRogatis Regarding R. Kelly.” Here, Hopper admits to being “flip about [DeRogatis’] judgment” of R. Kelly, which she “quickly came to regret.” In doing so, she’s able to push her self-proclaimed feminist agenda further, shining a light on the plight black women as a minority—in not just music, but the world—face. The book ends fittingly with “Part Eight: Females,” a showcase of Hopper’s best musings on those who, like herself, didn’t wait for an invitation to the table, and truly cements the notion that it’s time for men to scoot over—it has been since the beginning. I made the mistake of buying Danielle Evans’ wonderful short-story collection Before You Suffocate Your Own Fool Self just before leaving for a Caribbean vacation a few years back. I brought it along with a novel (Emma Donoghue’s unsettling Room) and realized upon arriving that I was more in the mood for a long read than a series of vignettes. I made a point to circle back to Evans when I returned, but after being initially bumped from the rotation, I never made it back around. I noticed Suffocate again as I unpacked from a recent move, and decided to give it a go, much to my delight. Evans’ debut is a collection of eight stories about the contemporary African-American (and predominantly female) experience, but Evans has a remarkably light touch. The stories are about black women, but they’re not necessarily about being black women. The BFFs at the center of “Virgins,” for example, have a harrowing, fateful night on the town that dramatically shifts their relationship dynamic, a coming-of-age tale that could have been told about young women from any experience. But Evans’ firm grasp of her characters, their backgrounds, and worldviews allow her to tell their stories with an authenticity and a specificity that makes them feel rich and lived-in even when the story itself has a familiar silhouette. There’s a pervasive sadness about Evans’ stories, so Suffocate wouldn’t have made the best beach read (not that Room was any more appropriate for the occasion), but the stories are so passionate and beautifully written, my only regret is not getting to them sooner. J.K. Rowling’s non-Harry Potter books inevitably play second fiddle to the spells cast by the Wizarding World, and The Casual Vacancy contains none of the magic of that series. It’s actually—dare I say it—better in many regards. I re-read the Harry Potter series about once a year (more if I’m going through a particularly stressful time), so I don’t say that lightly. There’s no grand adventure in the town of Pagford, where the poor and vulnerable suffer as a group of self-absorbed local politicians stake the ground and each other in attempts to gain small slices of power and influence. The characters here are far more complex than Harry and gang; whereas Voldemort was the embodiment of pure evil and greed, Pagfordians embody a relatable mix of desires and shortcomings, their attempts to do good tempered by greed or an inability to work together. It’s uncomfortable how much I saw of myself and my middle-class peers in the selfish, self-involved upper strata of Pagford. At its heart, this is a story of the precarious teeter-totter the poor and disenfranchised ride. 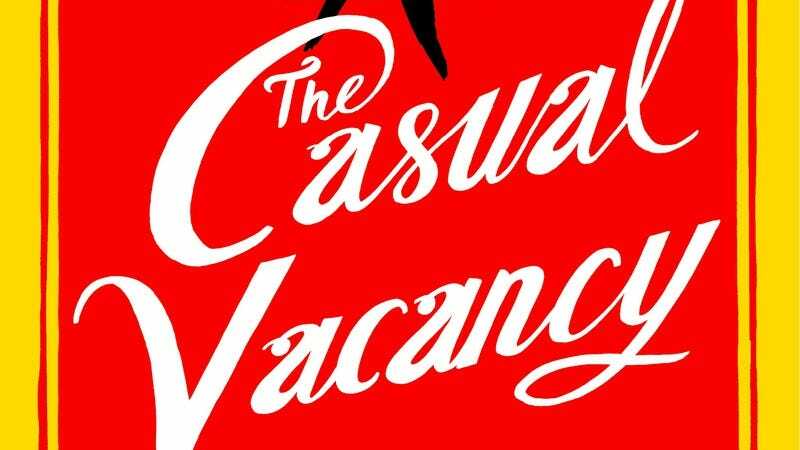 Actions from seemingly small changes to local government programs to the death of a friend can have disastrous consequences, and they do in The Casual Vacancy. But for all its grimness, it’s also a delightful examination of the sort of people who get their kicks from making waves as big fishes in little ponds, and Rowling’s penchant for witty dialogue and sly observations on human nature are just as good here as they are in Harry Potter.